An insightful book has the potential to shift your mindset, boost your productivity and make you happier, healthier or wiser. In short, the right book can change your life. Bill Gates says that “reading fuels a sense of curiosity about the world” that can help to drive you forward in your life and career. And he’s not alone, Warren Buffet says that reading is the single most important thing you can do to achieve success. “Read 500 pages…every day,” he once told a class at Columbia University. But for regular folk with full-time jobs and families, finding the time to read (500 pages!) daily is not an easy task. 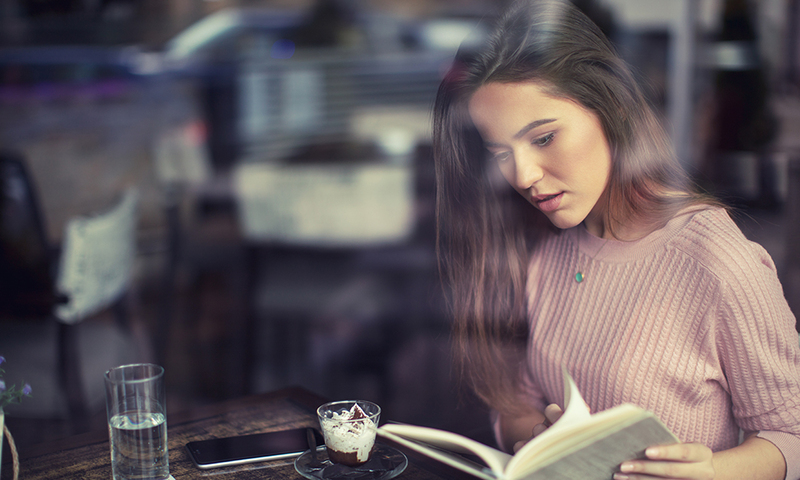 What if you could get all the benefits of reading in just a few minutes a day? Now you can! getAbstract finds, rates and summarizes the best business, productivity and personal development books and delivers the key insights in 10-minute reads or listens. You’ll find the relevant knowledge you need, when you need it. Wherever you are in your life and career, this title can help you reach the next level. The habits: take initiative, focus on goals, set priorities, only win when other win, communicate, cooperate and reflect on and repair your deficiencies. Get a handle on these habits and you’ll be read to join the ranks of highly successful people. All of us have to deal with anxiety and frustration in life, but not all of us are successful at it. A regimen of positive thinking and focusing on large, important tasks rather than small, trivial ones can help. Another important tip? No matter what happens, always be yourself and don’t try to imitate others. Social psychologist Amy Johnson offers a fresh take on controlling bad habits. Rather than encourage people with negative habits and addictions to view themselves as sick and telling them to fight against their habits with willpower, Johnson teaches them simply to be mindful of their urges and forget willpower altogether. Everyone is a genius, or was once. Tragically, life stifles the genius within most people in the work world. This smothering begins in childhood, and, by the time most people become adults, their genius languishes beneath a slag heap of convention and custom. In her inspiring book, exuberant personal development whiz Gina Amaro Rudan explains how you can tap into your natural genius and rev up your life. Kevin Kruse – New York Times best-selling author, Forbes contributor and Inc. 500 award-winning entrepreneur – combines his skills as a CEO and a journalist to search for common bonds of success by surveying people of great accomplishment. Billionaires, entrepreneurs and Olympians stress that they regard time as an asset more valuable than money and they spend every minute wisely. Ready to boost your life and career? getAbstract’s finds, rates and summarizes the best business, productivity and personal development books, articles and video talks. Every single one of the library’s 18,000+ text and audio summaries gives you powerful insights in just 10 minutes. Bet on yourself and start changing your life today!